I’ve noticed there is a lot of information on social media about Pathological Demand Avoidance, now recognised as part of the Autism Spectrum (by The National Autistic Society). It’s a condition I’ve suspected for a long time now that my son has, although he has never had a diagnosis. For me it has been like raising a child who is clever and articulate yet so avoidant and anxious and the two just didn’t seem to go together. How could my funny clever boisterous questioning little boy have an aversion to cleaning his teeth or eating certain foods or be so scared to travel in my car, that he needed to wear a helmet? He would constantly check things out, that it felt like we were being tested as parents the whole time. Were we good enough for the job we had been given? Could we be trusted? If we didn’t have the answers, it felt like we'd failed. Traditional parenting was a no go – we were constantly looking for ideas that worked from parenting courses, occupational therapy, Educational Psychologists, a change of school (school was a disaster), consequences, rewards – you name it, we tried it. As he got older we heard about Pathological Demand Avoidance and realised that he displayed most of the traits. I then went on to try to educate myself about the condition as much as possible but there was little information available. It was very frustrating. I then heard about the very lovely Laura Kerbey, previously a head of a special school who was running an organisation called Positive autism support and training. I had a good look at her website and really liked what I saw. We got chatting and I mentioned I worked as a youth counsellor and we went from there. Laura told me about some accredited PDA training that she runs and I was keen to attend. It is, I believe, the only accredited course currently running in the UK and a couple of weeks ago I attended her course. It was a brilliant course. Not only is the course highly informative, but Laura was a great trainer too, knowledgeable, friendly and approachable – I would recommend her courses to anyone. Laura has given me permission to share the contents of the course as she wants as many people to be PDA aware as possible. Also read: PDA- what actually changes now? 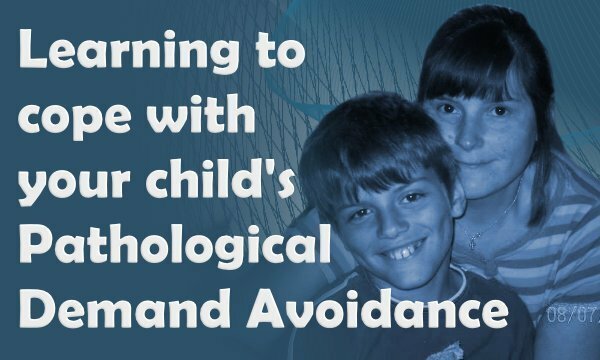 Understand the meaning of Pathological Demand Avoidance (PDA). Understand the impact PDA has on a child, teenager or young adult and how they might be supported. Understand the key principles of positive behaviour management when working with children, teenagers and young adults with PDA. Understand the effects that PDA has on learning and how to reduce the impact of this. By the time I'd finished the course, I had learned all of the above and more. What became apparent was that although Pathological Demand Avoidance is becoming recognised with health professional and SEN departments, it isn’t diagnosed officially by many professionals because it is not in either of the diagnostic manuals (DSMV, ICD 10) that our national health care system follows. Therefore, ‘PDA-like’ symptoms can be noted, but not as a condition within itself as yet. And because it can’t be diagnosed as a condition, then it is often not recognised by local authorities as a special educational need. A private diagnosis can be obtained but this is not always helpful if the local authority won’t accept the condition. You may find you have spent money needlessly so check first. However just because the local authority doesn’t accept PDA it doesn’t mean that there aren’t many fab teachers, teaching staff, care workers and parents and carers who recognise the complex condition and want to help the young people they look after. So thank goodness for courses like Laura’s. To find out more about the symptoms of PDA click here to be redirected to the PDA society website. What became apparent was how we learnt that avoidance came in many guises. Some, such as making excuses, manipulating and changing the subject were very covert. We also learnt that demands could be very subtle to us, but hugely disabling to our young people. The need for control was so powerful, it became the disabling factor in many young peoples lives and often they didn’t want to act or feel the way they were feeling. It’s all about anxiety. Extreme anxiety, the type of anxiety that is all consuming, which to us can sometimes seem quite confusing. This anxiety can be brought on by social and communication difficulties, fear of failure, loss of control, new environment, difficulties at home (such as a loss, a trauma, relationship breakdown, difference in parenting styles) a perceived injustice, school, sensory difficulties. So if I suspect PDA, how can I help? Trial and error will probably feature here – Once you realise something does or doesn’t work, then be aware of it and remember – keep a log if you need to. It may help in the long run. Reduce the pressures – allow more time, pick your battles, be specific if you need to – I remember saying to my son ‘come on hurry up, we don’t have much time’ Well he couldn’t process this – what did ‘not much time mean?’ He had a point - So I amended this to ‘I need to leave in 15 minutes and it would be great if you were ready’ – This worked on that occasion and although it was a bit of a mouthful – It probably saved ma an argument and being late for work and school. Praise indirectly – and explain what you are praising – Third party praise can be good for children with PDA – i.e they overhear you sharing good things about them to another adult. Offer a choice you are in control of – Do you want to put your shoes or your coat on first, Are you having a bath or a shower this evening, Shall I run it or will you. That sort of thing – It takes practice but does work. Don’t take it personally – You might feel anxious, hurt, embarrassed, upset or frightened by your child’s behaviour but it isn’t personal, if your are feeling like that, imagine what it must be like for them. YouTube has a wealth of information about PDA – As always be careful of what information you source but this one on meltdowns has some really useful information. Other ways we learned that help are recognising the signs of anxiety by become a detective and looking for cues. Also, remember to be kind to yourself while you learn; It will take time. Remember, sanctions rarely work and can worsen an already volatile situation. What was the observed behaviour? This might help you catch a situation before it develops into a full on meltdown which will help both you and your young person with Pathological Demand Avoidance. Remember that that PDA is a complex anxiety/Autism Spectrum Condition and that you are doing the best you can. Parenting is turned on its head with this condition and you have to learn things you never thought you would have to and deal with situations you never thought would arise. Remind yourself that you're doing great and hopefully this post will give you more support to continue doing it. Please can you help my daughter has had an OT assessment which indicates she has dysgraphia yet the OT will not diagnose, please can someone tell me who can, the Edphysc only visit the school once every two years and the Child development unit has 3 months waiting list and according to the receptionist they properly won’t either I am so frustrated I just want a diagnoses. Thank you for your kind reply I will my GP has written enclosing the assessment to the child development centre, but the Ed phys you have to call to make an appointment to speak with them but according to the director of special need confirm and when he spoke to her about my daughter she suggested the OT can do the assessment, but thank you for taking the time to reply. Put your dissatisfaction in writing so that it is on file that diagnosis has been withheld. Report it to your local Healthwatch. You are absolutely right it does barely touch the surface. I was going to write that it can be like living with a human smoke detector. Someone who is permanently primed to alert us at the merest hint of anything perceived as danger. An anxiety so hidden and acute that it draws us in and throws us off time and time again and yet our young people don’t want to feel like that. They would probably do anything to feel better. Did you go over the germs side of things with him? The fact that gum disease leads to heart attacks? He might need a little bit of stark truth to encourage him. Perhaps try a book on dental hygiene. Even a PECS style wall chart might serve as a reminder. Which is it, Can Not or Will Not? Gentle teaching over time is the way. Avoid confrontation and anger/frustration. This is the case – but is wrong. It can be diagnosed whether or not it’s in the diagnostic manuals. They are mainly about setting criteria for what it looks like but more so diagnostic codes to use for funding assessment. So there is no law or otherwise stopping them diagnosing, they are just being too tick-box (I thought the autistics were the rigid ones…) and they can diagnose it under “ASD: PDA subtype”. The fact that they won’t a lot of the time, reflects the paranoid culture among professionals who are so tick-box they cannot be flexible and use their brains. If it’s not on a form or in a manual, they won’t do it. Ridiculous. The condition exists, just because someone hasn’t written it into the manuals yet doesn’t change that. It is definitely autism. It’s a bit like a combination of autism and oppositional defiance disorder rolled into one (and may in fact be) with lashings of anxiety. Everybody needs to contact the WHO putting pressure on them to include it in the ICD11 to get this ridiculous state of affairs changed. It’s the biggest postcode lottery when it comes to autism. MY youngest child is an overlap of HFA/PDA and they still haven’t got her diagnosis exactly right. Absolutely re diagnosis – There are many places where a private diagnosis can be obtained which is why I referred in my post to ‘many professionals’ however what I feel is important is that people understand that presently it is very difficult to get an NHS diagnosis and if you do, it is then almost equally difficult to get the LA to accept the diagnosis – neither of which is helpful for families. This can then send people down the private route whereby they spend sometimes £1000 upwards to obtain a diagnosis that is not accepted by any professional that provide health or educational support. I agree that including it in the ICD11 would be an enormous leap forward. I agree with one thing only, anxiety. It may not be anxiety we all feel, but these children don’t have the coping skills. I also do not care for this awful label and it should be changed. We are in a position described below. Following a CAMHS diagnosis of GAD (Generalised Anxiety Disorder) in February we finally went private to obtain a full assessment. My son was diagnosed with ASD/sub-type PDA along with combined-type ADHD. CAMHS won’t now accept either diagnosis; we’re in the middle of the ECHP application process so the Local Authority’s position remains to be seen. Anxiety certainly is the driving force and while I’m not enamoured of the term PDA either, but it’s about a LOT more than generalised anxiety. Same story with teeth brushing by the way! Have tried countless brushes, toothpastes and mouth wash – still no solution. I’m sorry to hear you have found no solution – When you say ‘countless toothpastes etc’ have you found the tasteless varieties? Boots stock them and they have no flavour – I am thinking along the lines of oral sensory sensitivity perhaps – Or how about a social story on why we need to clean our teeth – Someone mentioned to me recently about how they empathised with their child’s difficulty about eating certain foods and it enabled the child to open up a little about why they were unable to eat them. Could that be an option to try? It would be diagnosed as autistic spectrum disorder with PDA sub-type/presentation. It’s not a separate condition to autism to be diagnosed standalone. The wording of the diagnosis is vital however because the supports and techniques needed for PDA are different to typical autism or Asperger’s. I have a problem with this label, many high schools seem to have very black and white rules and over the top punishments for minor bad behaviour, I don’t think I would have reacted well to his secondary school either, my daughter went to a school with softer rules and only had a few petty problems. Are these kids being put in worse conditions for their behaviour?